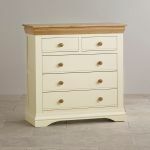 Combining the ornate cornices of classic French design with the universal appeal of cream painted furniture, the Country Cottage Natural Oak and Painted 3+2 Chest of Drawers will complement a range of décors. 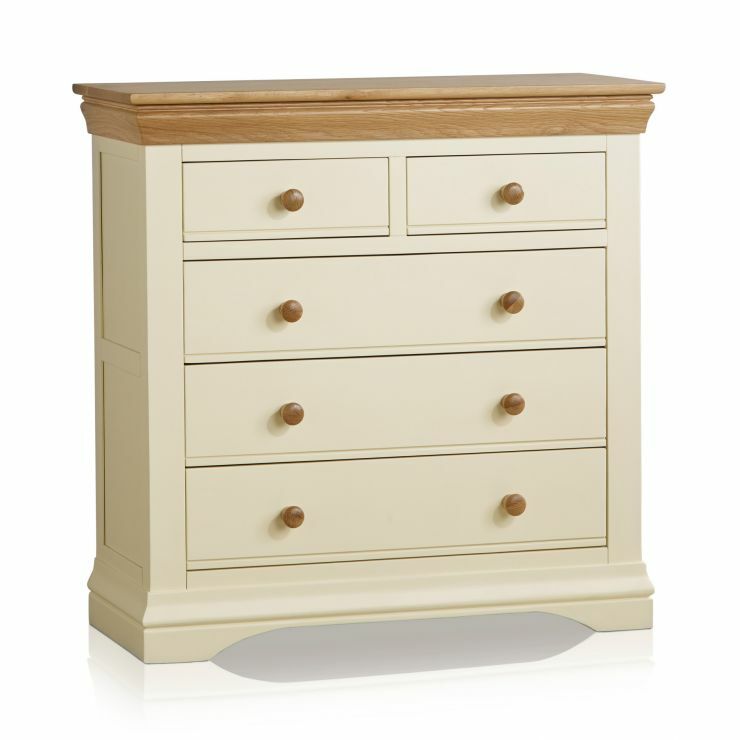 An elegant way to make the most of your space, the chest offers plentiful storage with three wide drawers plus two smaller drawers at the top. 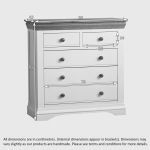 Designed to create an eye-catching contrast, the solid oak tops are left natural, with only a simple coating of clear wax polish applied to enhance and protect the grain. 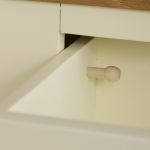 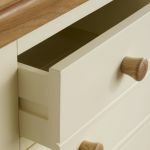 As is standard at Oak Furniture Land, each drawer is crafted using traditional dovetail joints for exceptional strength and durability. 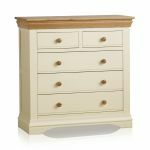 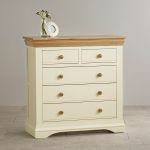 A beautiful standalone addition to the bedroom, this chest of drawers can also be paired with other pieces from the Country Cottage Natural Oak and Painted collection for extra impact.